Information technologies and electrical engineering continue to develop at a rapid pace and have a major influence on everyday life and business. 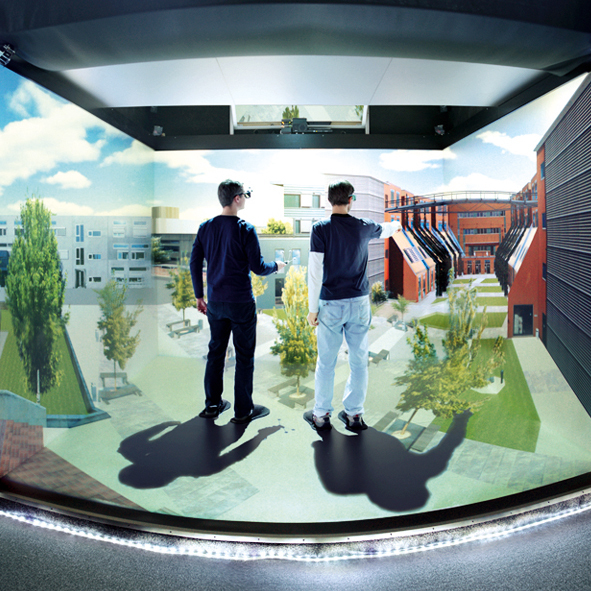 In the master’s degree programme Information and Computer Engineering taught in English at TU Graz, you work with internationally-renowned scientists and teams from industry and research on the technologies of the future. You study the main theories, principles and methods of information processing, information technology and electrical engineering. With the support of a mentor, you specialise in two fields. You work on projects with fellow students, and teams from industry and international research. You learn how to present project results in reports and lectures in a scientifically correct manner. You learn how to handle the rapid development of information technologies and electrical engineering and how to update your own knowledge independently. You have the opportunity to complete a study period abroad, providing the ideal complement to your degree programme. Alternatively you can choose the Major in Internet of Things. I study Information and Computer Engineering because it’s extremely exciting being part of new technological developments right from the beginning. Graduates of all other degree programmes offered at the TU Graz or, in the case of a NAWI Graz programme, the University of Graz, as well as graduates of the programmes listed on www.tugraz.at/fakultaeten/infbio/studies/starting-a-masters, also do not have to undergo the admission procedure. You can apply for admission at the Registration Office. They design, operate, and evaluate complex hardware and software systems in the area of information technology, the automotive industry, and telecommunications. The systems they design are used in e.g. smartphones and apps or robotic systems. At national and international levels, they work on a self-employed basis or in an employment relationship e.g. in industry, in young start-ups, or in the services sector. They frequently manage departments or projects. More than 50 billion smart things – objects equipped with microcomputers – are expected to be able to communicate with each other by 2020 via the Internet of Things. This technology opens avenues to countless new applications that will have a huge impact on society. Cars communicate with each other on the road. Intelligent pipelines locate leaks quickly and cost-effectively. In industrial manufacturing, products and machines communicate with one another, enabling the manufacture of customized products at a low cost, and much more. One of the biggest challenges being faced is dependability of the Internet of Things. Critical applications in the areas of health, transportation or production always need to function flawlessly, even if they are exposed to disruptive influences and targeted attacks. 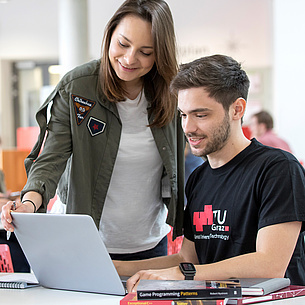 By choosing to major in the Internet of Things, based on the Master’s programme Information and Computer Engineering , you can study this subject through intensive research and specialise in a cutting-edge topic with the highest social relevance. You complete courses from three areas of the subject Internet of Things. You choose a minor from one of the eight areas of expertise of the degree programme. You choose the courses for the elective subject according to the curriculum. The total credits accrued from the major, minor and elective subjects must be no less than 74 ECTS. Seminar/Project: 10 ECTS in a subject area related to the Internet of Things. You can find more specific information about the content, courses and mentors in each area here: Overview of the subject areas. Admission to the programme is dependent upon the admission requirements of the Master’s degree programme. IoT is finally here, but as revolutionary as it is, it faces many security challenges. The IoT Major is a great place to start learning about IoT's shortcomings and to gain knowledge and experience to mitigate them. The knowledge you will gain will open the doors for the rapidly growing IoT industry. The goal is to prepare students to meet the challenges of creating a dependable Internet of Things as well as possible. This requires relaying fundamental information and facilitating involvement in current research. The issues address both hardware and software. The basic intention is to educate students, not train them, since the technology and career fields of the Internet of Things are subject to constant change or are only currently being developed. Ten top researchers in the fields of Computer Science, Biomedical Engineering and Electrical and Information Engineering work together to create a dependable Internet of Things. The lead project is anchored in the Field of Expertise Information, Communication and Computing, one of the five strategic Fields of Expertise at the TU Graz.